I’ve toured a few assembly plants in my day, and while the Acura NSX assembly plant in Marysville, Ohio remains the most impressive, the video here shows that Audi’s plant in Hungary is amazing in its own regard. Devoid of any form of narration or score, the video zeros-in on a pristine assembly plant, and the various individuals and machines that make the sharp little TT RS’s creation so mesmerizing. Speaking of robots, be sure to check out the robotic arms about three minutes in, which appear to be the illegitimate offspring of the Pillsbury Doughboy and Gypsy from Mystery Science Theater 3000. While these electronically controlled machines are surely purpose-built and do their job diligently, they are nothing compared to the boom arms you see installing entire dashboards and screwing on all five lug nuts at once. But probably the most fascinating thing about this video is how serene the entire assembly process is. From the installation of the camshafts within the head and all of the body panels being bolted in, to the line of silent plant workers bringing it all together, the level of calm and focus within this factory is nothing short of astounding. 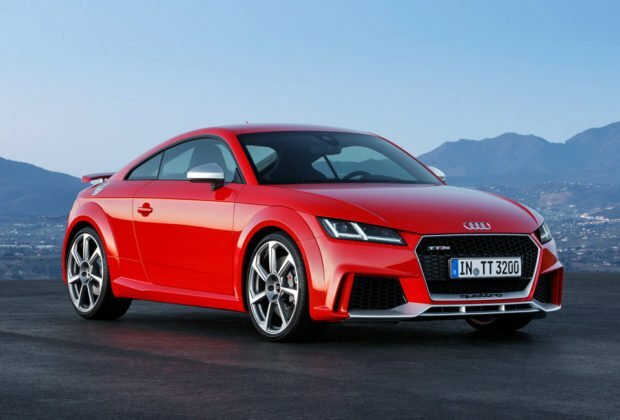 So while we wait with bated breath to get our hands on a TT RS for review, witnessing the level of dedication and attention to detail that goes into making these machines serves as reason for buyers to go out and test drive one. Forget all the noise about how, “It’s not made in Germany like an Audi ought to be.” The standards that must be met in order to allow a vehicle to roll off the Audi assembly line in Hungary border on the extreme, a fact that is backed up by the TT’s placement on JD Powers’ list of cars with the best initial quality.